This is a proposal for construction of an approximately 46,000-square-foot rehabilitation hospital serving 40 inpatient beds. 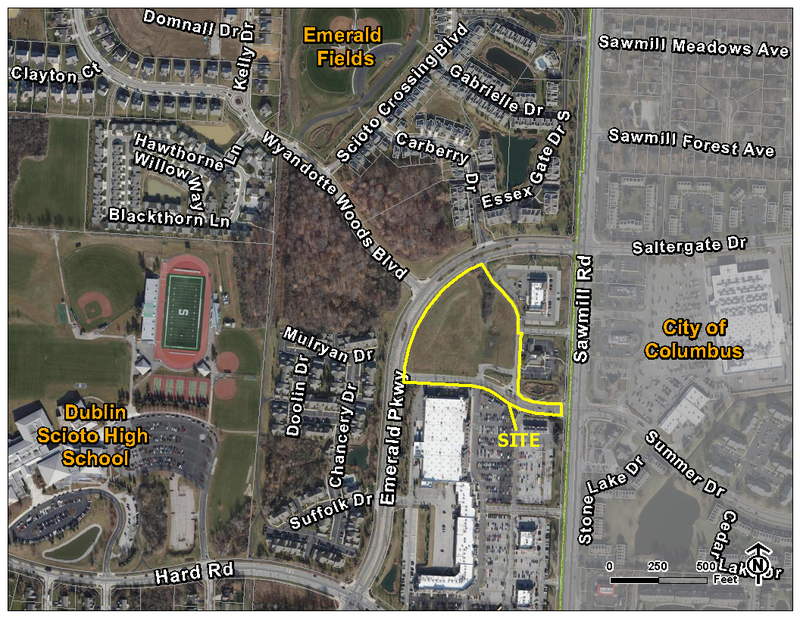 The 5.76-acre is zoned PUD, Planned Unit Development District, Northeast Quad, Subarea 5B. The site is located south of Emerald Parkway, approximately 750-feet southest of the intersection with Sawmill Road. This is a request for review and approval of an Amended Final Development Plan under the provisions of Code Section 153.050.